the ones below, just some of that effect, it seems to pleasingly strengthen the neck area. The jackets are cut ( at least the two bottom ones) with a separate stand and fall and thus can be easily made as high as you like. The top jacket also has a completely different cut and construction than is generally used today and unles your tailor is a specialist in historical cutting most likely will have the devil of a time copying it. The jackets are cut ( at least the two bottom ones) with a separate stand and fall and thus can be easily made as high as you like. is more what I was looking for, though obviously not as tall (I want to wear this in public). Edited by Svenn, 13 January 2010 - 01:02 PM. It will not look nice unles you are a gothic. You can cut the stand 3cm high and iron work it nicely. The stands in the pictures are at least 5cm high, you have to separate then. I really like ... high jacket collars...is it possible to get SOME of that look in a custom suit? I'm thinking of using Gordon Yao in Hong Kong to tailor it for me, but I need to give him some instructions. Since you are not making it yourself, I have moved this thread to the Bespeaker's forum. I agree. You will look like a Goth or Steam Punker. You might find it looked interesting for a while, but you may not get as much wear out of it as you are hoping for. Talk to your tailor about making a conventional collar higher, especially if you have a long neck and you have your shirts made up with a collar that sits higher. For example, detachable collars often sit higher, and I think that it is actually good to have the coat (none of the examples shown are jackets, but coats) collar made to sit a bit higher. The same can hold true if you are wearing a dinner jacket or dress coat with a standing collar shirt. something additional besides just being taller- the collar looks more vertical. are amateur clothing enthusiasts like myself allowed to post on this forum? Oh, yes please post away!!! In fact, the reason I created the Bespeaker's forum was to encourage it. I wanted to create a place where clients can get genuine advice and guidance that they can really count on. There is a lot of bogus advice floating around the internet. However, as you can probably imagine, it's very important that tailors have a protected place they can call their own, where they can feel they can "talk shop" uninterrupted by clients. That's what the Professional and Technical fora are for. In most professions there are places where they can come together for workshops and group discussion, but these opportunities have been largely lost for tailors today. That's why it's really important that tailors feel that they have their protected space again on the internet. any of the stately appearance of the collars above? It's not a look you can get away with unless you are a fashion designer or Steam Punker. It's would be a huge hassle if you ended up with a coat that could only be worn with shirts specially made up for it. This is the sort of wild beast that can end up forever inside your closet, and hardly ever see the light of day. Discuss thoroughly with your tailor, who will probably try to talk you out of it. As a tailor, the last thing you want is to spend extra hours trying to create some fantastic costume for your client only to end with him being unhappy with being stuck with an unwearable white elephant. This is especially true if you are running a shop in China with low profit margins. It can seem a lot of fun designing your own garments but there are practical difficulties and consequences that you have to think through. Just a word for the tailors reading, the one of the reasons for creating this forum was to give tailors the chance to pick up well informed clients here. I would hope that the sort of information found here is the sort of thing tailors would want their clients to know. So in fact, the prime motivation for creating this forum is for the sake of the tailors. Still, as you can see from where the Bespeaker's Advice Corner sits amongst others, that the C&T forum is still a very tailor lead forum overall - a good thing for clients, in my opinion. Wish I got here before the post got shifted, hopefuly I'm not speaking out of place. This is an interesting problem. There is a need for a higher shirt collar and the coat to be in some sort of harmony and not appear (as is Lagerfeld's habit) as if your shirt collar is trying to escape your coat. You may want to consider if a "pagoada" style shoulder may help to visually blend the hight shirt collar with the coat and, as Sator suggested, an extra 1" might be added to an otherise standard coat collar stand. Perhaps an even smaller, more subtle rise of 1/4" to 3/8" might be less unnerving for your tailor. "The possibilities that exist in the portrayal of personality constitute the strongest, and in fact the only unanswerable argument for the supremacy of Custom Tailoring"
I don't think the construction of the shoulder should affect the height of the collar. A concave shoulder is not necessarily more sloped or long necked than any other. Perhaps an even smaller, more subtle rise of 1/4" to 3/8" might be less unnerving for your tailor. It will also prevent the risk of having the coat collar rub against your neck. You can say whatever you wanted to before. However, keep in mind that if it involves a client lecturing a tailoring on how execute a type of cut or construction they have never tried before, and which is highly time consuming, all it is going to do is end up with the tailor saying: sorry, no thank you, goodbye. Or double the price of the commission on the spot. Just wanted to add a technical note into this discussion- you cannot just make the stand portion of the collar an inch higher without also changing the distance that the roll line is set from the neck point. In modern drafts it ranges in the 2- 2.5 cm distance. These higher rolling collars would need that to be increased correspondingly and a great deal of care taken in how the collar shape is developed. The older drafts also had the neck point further from the Cf drafting line of the coat. That throws more fabric into the neckline - which helps achieve the higher collar effect overall. Indeed not, the idea was that the slope/high shoulder *might* be more visually in tune with an abonormally high (shirt) collar. Yes, you could probably make the collar about 2.5cm/1" higher without having to learn a new cutting and construction technique. This is especially true if you are running a shop in China with low profit margins. as if your shirt collar is trying to escape your coat. 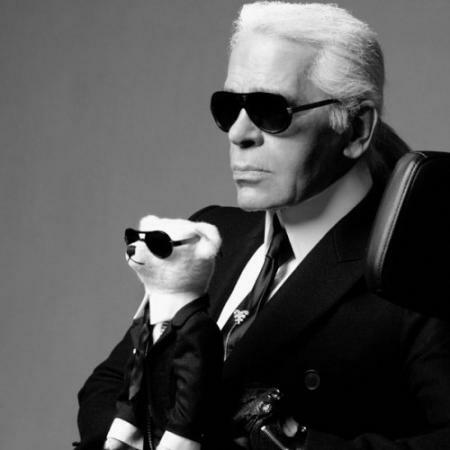 that Lagerfeld's has. I just don't want to look like the Prince of Kent below, whose shirt collar I think stands out too tall. The shirt is from Hawes and Curtis, and is the type I plan on wearing most often. Does Gordon Yao count as a low profit margin tailor? the Cf drafting line of the coat. That throws more fabric into the neckline - which helps achieve the higher collar effect overall. to build up the trapezius muscles and make one's neck look stronger. Edited by Svenn, 14 January 2010 - 05:32 AM. I'll try to draw a picture and post it for you....... just need my day to stretch out a bit! The shirt is from Hawes and Curtis, and is the type I plan on wearing most often. OK the picture says a thousand word. This is a pretty straightforward problem. You have a long neck, and you wear a shirt with a high collar. The Duke of Kent probably wears stiff detachable collar that sit higher. This is a simple matter of ensuring that a coat collar is fitted to sit higher on your neck and to ensure that the cutter makes the usual adjustments for a figure with a long neck. These are easy and conventional fitting issues that should present no problem to any competent fitter. You must wear your H&C shirts when you place your order, and more importantly to your fittings. Point out the problem you have with too much shirt collar showing. BTW those old fashioned collars you showed aren't Edwardian era (1901 to 1910), but considerably older, more like 1780-1860. The two lower ones are more Thomas Jefferson than Bertie Wooster. Yes, that's true. The concave shoulder is ideal for people with sloped shoulders and long necks.